Are you often running out of ideas on what to serve your family for dinner? My family loves to try different recipes, and they easily get bored when I make the same meal, that’s why I decided to plan our meals. 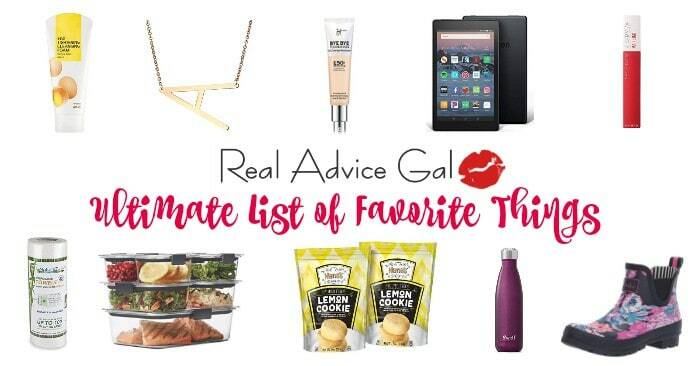 With menu planning, I save money, and there’s a lot of new healthy and delicious dinners that I can serve my family every day. 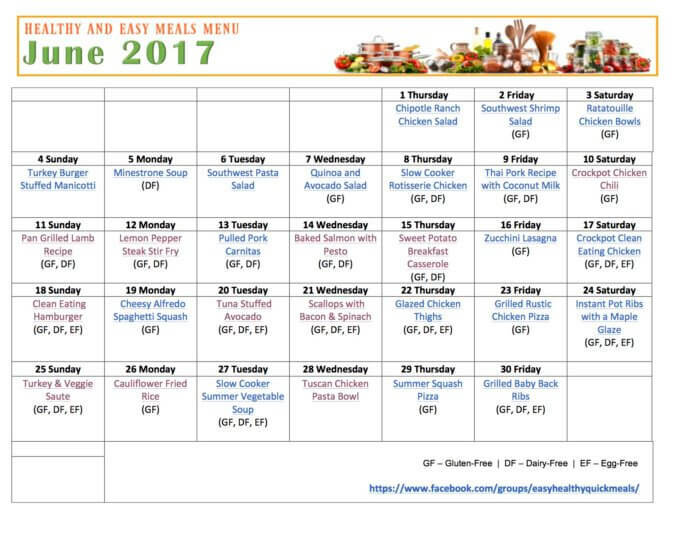 PRINT this Free Printable Dinner Menu Calendar now! 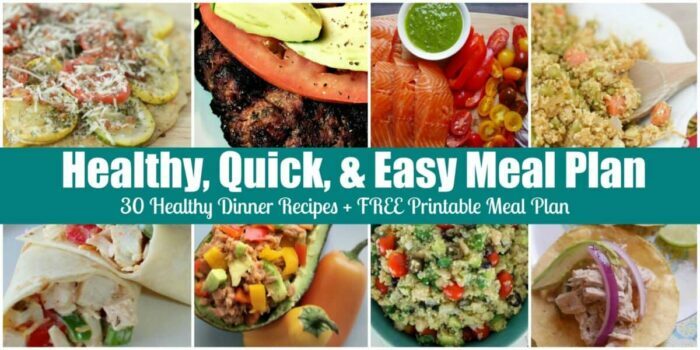 Don’t forget to join our Easy, Healthy, Quick Meals Facebook Group for more healthy recipes and easy cooking tips. 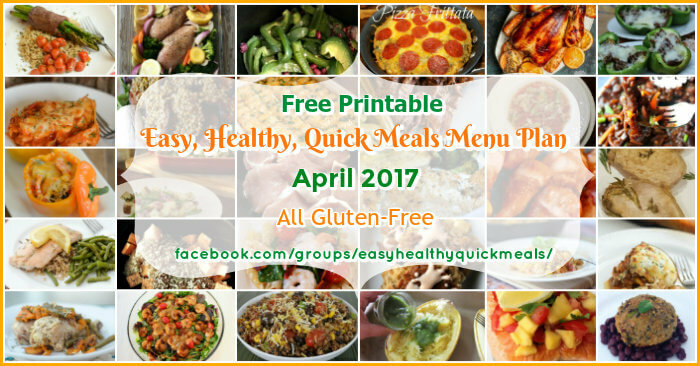 Check out our All Gluten Free Family Dinner Menu Ideas All Gluten Free Family Dinner Menu Ideas from our April 2017 Easy Healthy Quick Meals Menu Plan.